Discover Peninsula Point, a peaceful gated community in the heart of Marina. This ground floor, end unit has 2 Bedrooms, 2 Bathrooms and only one shared wall. The large living room has a fireplace with gas insert and marble tiled surround. The kitchen is updated with Corian countertops, engineered wood floors, and a stainless refrigerator. Unit has inside laundry with washer & dryer included. All windows are double pane with custom plantation shutters. One detached garage with automatic opener and extra storage closet. HOA includes water, garbage, sewer, roof, exterior paint, landscaping and more. 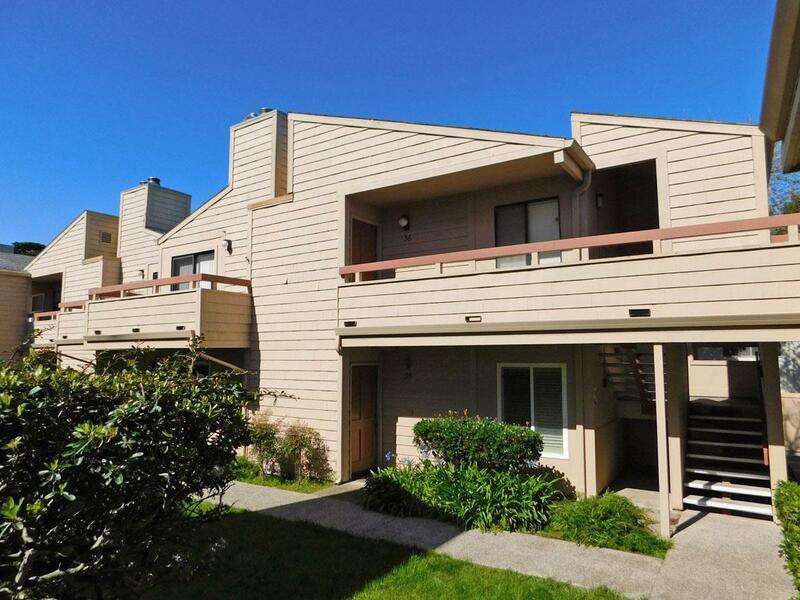 Conveniently located close to Marina State Beach, Locke Paddon Park, Highway 1, CSUMB and the Sunday Farmer's Market. This is affordable beach living!